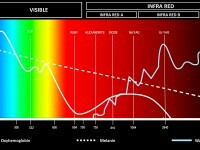 A comprehensive representation of the spectrum of light (UV, Visible and Infrared) and how it is absorbed by Water, Melanin and Oxyhemoglobin. 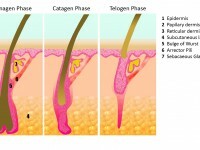 This poster is a full-colour illustration of the three phases of hair growth, including annotated anatomy of the skin and hair follicle. 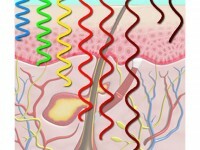 A great resource for your staff and clients when performing Laser / IPL / electrolysis for hair removal.